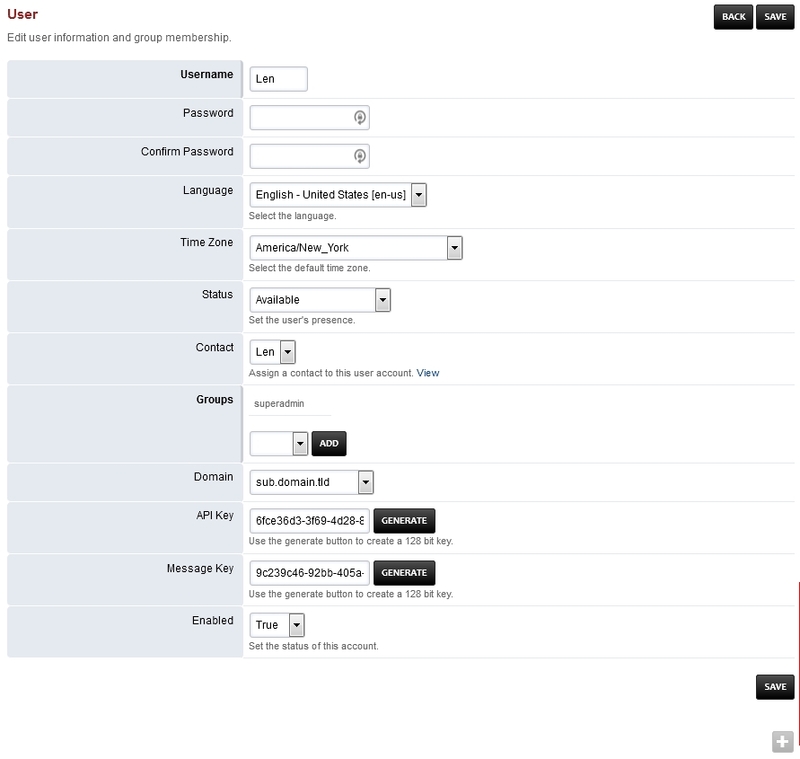 Define the users information to login to the web interface. User id to be used to login. Secret password used to login. Per user language to override the domain or global language. Per user time zone only needed if it needs to be different from the global time zone. The group the user is assigned. The domain the user is assigned to. Generates a Key to use with Messages Application. Whether the user is enabled. Click the link above for Users default settings.